That’s hard to answer. It depends on what you want the show to be. The best I can do is say that if you gave up on the show in its narrative doldrums in the middle of the second or third seasons, it might be worth trying again. Towards the end of the third season, the quality picks up dramatically leading into, in my view, the show’s best years in seasons four and five. For such a popular show, Lost actually took a lot of risks throughout its run. Because of this it’s not actually quite as much of a crowd-pleaser as you’d expect, and I can’t really predict whether it’s worth your time. It just depends on your preferences. I’m more interested in addressing those of us who have seen the whole show. What are we to make of it? From here on out, I will not be shy about spoilers so be warned. You wouldn’t think this would be a complicated question, but it turns out to be rather controversial. On one hand, you have the famously obsessive fans who pore over every detail. For them, the show is about a mysterious island. On the other, you have a somewhat less vocal but possibly larger group who appreciate the show as a character-driven drama and shift uncomfortably in their seats when ghosts and time travel threaten to drag the show completely into genre territory. It’s possible to appeal to authorial intent on this question. The showrunners mostly come down on the side of the latter group, and over the years became increasingly vocal about their belief that Lost was ultimately a character-driven show. For most of the show’s run, I thought they were simply saying what critics want to hear. When Battlestar Galactica earned mainstream critical acceptance, many prominent writers made sure to explain this was possible because it wasn’t really science fiction. Watching Lost in season 5, when it was devoting considerable energy explaining to its mainstream audience time travel concepts that were sophisticated even by SF standards, I didn’t see any room for debate. When your characters spend more time discussing causality than themselves or each other, it’s not really a character show. Yet for all their discursions through fantasy and science fiction, the sixth season and particularly the finale make it clear that the show’s writers felt they were writing a character show and needed to end it like one. This raises the question: if this show really is about the characters, why did so many people (myself included) think otherwise? One explanation is simply that it really was a mystery show until the last season, when the writers had a conversion experience to the character side. Looking back, there was definitely one point where the show was purely a mystery show: the pilot. The pitch for Lost didn’t sound like, “So an alcoholic doctor and a con man with a heart of gold both fall in love with a beautiful girl who murdered her stepfather.” While that much is obvious, it’s fortunate the development of the pilot has been so extensively documented, for we can actually be precise. The original concept was simply a bunch of people stranded on an island. JJ Abrams added the word “mysterious” in front of “island” and Lost was greenlit practically on that alone. Since ABC was in such a hurry, there was no time for the standard development process, so for the most part the producers hired actors they liked and then made up characters for them on the fly. The cast was so big that the pilot barely had room to explain who they all were. On the other hand, the pilot spent quite a bit of time on the unseen monster, the polar bear, and the French woman’s transmission. Charlie’s “Guys, where are we?” serves as the pilot’s punchline. It’s the pilot’s central question. So it’s understandable that many people got the impression this was a show about a mysterious island. But somewhere in between the pilot and the rest of the first season, the show changed course dramatically and never looked back. While it was still a mystery show, instead of concentrating on the island’s many mysteries as fans expected, the show spent most of its time on the mysteries of the characters. Each character had at least one surprising element to their past that cast them in a new light: Kate was the criminal, Sawyer was the victim of a con man, Hurley was a lottery winner, and so on. This was clearly a brilliant move by the writers. While the island mysteries of the pilot brought people to the show, I think it was the character mysteries that kept them watching and propelled the show to stratospheric ratings. 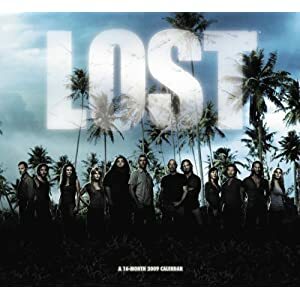 Most Lost fans still cite the first season as their favorite, and when asked why they gave up the show most former viewers say it changed too much from the first season. Unfortunately, as successful as it was, this strategy proved to be something of a time bomb. As the audience learned more and more about the characters, it became harder and harder to make interesting episodes about their pasts. Anticipating this, the writers introduced fresh characters, but the audience was too invested in the characters they had already. The solution to the problem, going to the future instead of the past, came too late to preserve Lost‘s once-incredible ratings, but drastically improved the show in the fourth and fifth seasons. So Lost wasn’t about the island at all, but just about some characters? Well, not quite. Seinfeld was just about some characters. As a narrative show Lost explored themes and ideas. In fact, unlike its frayed and disheveled mythology, Lost has been thematically consistent from the beginning. Well, almost from the beginning. I have to preface all this by saying none of it is present in the pilot. I think it’s safe to say no one had any time in that rushed development process to think very much about themes. This becomes obvious when considering the answers to the pilot’s minor questions. Why is a polar bear on a tropical island? Some researchers brought some polar bears there. Why was the repeating distress call never heard by the outside world? Someone is jamming transmissions from the island. While these do lead into more minor questions (Who are these researchers? Who is jamming the transmissions?) that the show tinkers around with for a while, the fact is these are fairly prosaic. Going into season one, the writers apparently realized prosaic wasn’t going to cut it. In the second episode of the season proper, “Walkabout”, Locke is discovered to have been miraculously healed. He encounters the monster, and how does he describe it in the next episode, “White Rabbit”? After the pilot you would be forgiven for thinking that he might have said, “I saw the monster and it was a dinosaur!” Or perhaps, “It turns out it’s a giant robot!” Instead, Locke says, he “looked into the eye of the island and it was beautiful.” In that same episode, Jack sees his dead father. And while that might be explained away as a hallucination, what are we to make of the way the body has disappeared from the coffin? These mysteries make the polar bear and the transmission seem completely humdrum. Seeing a polar bear in the tropics is unusual. Paralysis being healed by a plane crash is miraculous. Even at this very early point, the island had been reimagined. It was no longer just a weird island. It was a place to encounter the numinous. Before going on, I want to also point out than none of these things I’ve mentioned from these two episodes were ever properly explained. Locke was healed because, well, Jacob felt like it. The monster looked beautiful because, er, actually it never demonstrated this capability ever again. And the body was missing from the coffin because the smoke monster was using it to impersonate Jack’s father–no, wait, it definitely was impersonating Yemi and his body was still there. So…no idea. I’ll come back to Lost and “answers” in a moment but first let’s keep thinking about why these elements were introduced in the first place. Locke, by virtue of being on the receiving end of the most beneficial of the island’s miracles, is a strong believer from the start. Yet his simple faith is tested by Boone’s death. Locke is forced to construct a theology to explain this (“Boone was a sacrifice the island demanded”) but there is no revelation in his religion. He has simply invented explanations to fit the events that happen to him, and as a result is thoroughly wrong. For a while he thinks maintaining the Swan hatch is his purpose, but then angrily rejects his faith and causes the Swan implosion. Afterward, he is chastened, and once more becomes a zealot of a religion he has made up out of almost whole cloth. Though well-intentioned, his belief is so strong he is willing to murder Naomi. Still searching for his destiny, he tries to become the leader of the Others, only to find himself yanked through time, and finally proves a failure as an evangelist to the Oceanic Six. He dies in despair, having never found the meaning he sought in his life. Jack becomes the de facto leader of the survivors due to his authority as a doctor, but despite the competence he projects he proves ineffective. In his pre-island life his marriage failed and he was unable to escape his father’s shadow in his career. On the island, his denunciations of Locke’s mysticism seem more and more implausible as bizarre phenomena pile up and his “leadership” proves incapable of providing any lasting improvement on the survivors’ situation. Ultimately he gives up, and when opportunities come to escape, he tries to take them. Eventually he and the other Oceanic Six do escape, but having gotten off the island his life becomes even worse and he is wracked with guilt over leaving the others behind. After Locke’s death he converts to Locke’s view of destiny, and tries to live up to Locke’s sainted memory (it’s easy to forget that St. Locke, right up until he died, was considered to be a violent extremist by the show’s two unquestionably good characters, Hurley and Rose). Back on the island, he finally finds a task worthy of his great desire to “fix” things when he gives his life to fix the island. Ben, meanwhile, was told for almost all his life that he was special. He successfully deposed Widmore on the grounds that Widmore was insufficiently devoted to the island and led Jacob’s people for years. There’s no sign that Ben was ever anything less than totally committed to Jacob and protecting the island. Yet Jacob never spoke with him directly, instead using Richard as an intermediary. When Jacob allowed him to get cancer, Ben’s authority was called into question. Presumably this was Jacob’s typically obscure way of trying to get Ben’s group to unite with the survivors, but instead Ben tried to manipulate Jack into doing the surgery. The fighting between Ben’s group and the survivors served to further erode his authority, and finally even Richard began maneuvering Locke into position to replace Ben. When Widmore’s mercenaries kill his adopted daughter, the one person on the island he genuinely loved, he angrily allows himself to be exiled and does his best to damage Widmore’s interests off the island. When Locke reveals there is a way back to the island, Ben learns it, then murders Locke to prevent him from competing with Ben for leadership. But when they return, Locke appears to be alive again and far more capable than before, propelling Ben towards a confrontation with the weaver of the island’s destinies, Jacob. When Ben demands to know why he has had to suffer and Jacob has no adequate response, he kills the object of his devotion. He immediately learns that he has been used by a close approximation of the devil, but ultimately he achieves some measure of redemption by helping Jack win, and then finally gets the role he always wanted with Jacob’s eventual replacement Hurley. One of the common criticisms of Lost is that, summarized, it becomes apparent that it is absurd. The show itself referenced this when Hurley tried to explain what had happened to him on the island to his mother. But the stories of Locke, Jack, and Ben are not ridiculous when summarized. Neither are those of the characters with more conventional stories about separated love: Sun and Jin, Desmond and Penny, Rose and Bernard, and even Sawyer and Juiliet. Kate’s story is pretty ridiculous at length or in summary, but really, the less said about it the better. The reason these stories work well is they are the ones the show was built to tell. It was not, ultimately, a show about a mysterious island. It was about people searching for meaning in their lives. So again, why did so many people think the show was about a mysterious island? The easy answer is the writers tried to have it both ways. You get higher ratings by pleasing all of the people some of the time than if you please some of the people all the time, so they tried to generate appeal both as a story of characters searching for meaning and as a mystery show. So we got plenty of details about the Dharma Initiative, the Others, and a lot of handwaving about electromagnetism. But I think there’s a deeper reason for the widespread fan engagement with the show’s mystery. I think for many fans, they couldn’t help but live vicariously through the characters, and feel as though they were on the cusp of the numinous themselves. All the things that couldn’t be explained would be unlocked by the secret knowledge revealed at the end of the show, the grand unified theory that would turn the vast mythology into a single coherent whole. If enlightenment proves nearly impossible to acquire in real life, then we should at least be able to achieve it within the scope of a television show. The fans search for answers was, in fact, exactly what Locke, Jack, and Ben were also searching for. I doubt the writers intended this from the beginning, but surely they were conscious of it by the second season. Just as many fans angrily declared there was no rhyme or reason to the what happened on the show, characters at various points (most notably the unnamed antagonist, talking to Sawyer in the cave) rejected the possibility that there was any sort of destiny or purpose to their lives. Even the ultimate conclusion within the show mirrored that outside it. In the show, though Jacob manipulates events to bring about a certain result, he turns out to be rather less than divine. They are not living in the best of all possible worlds. The monster and all the suffering it causes is the result of Jacob’s mistake, and it’s not at all clear that the monster’s escape or the island’s destruction would have anything like the apocalyptic consequences Jacob claims. The penultimate episode’s title is “What They Died For” rather than “Why They Had to Die” because the answer to the latter question is a little too awkward: they had to die because Jacob wasn’t good enough at playing god to come up with a way to defeat his brother that didn’t involve thousands of needless deaths. Likewise, Lost the show turns out to have had a purpose and meaning, but ultimately it’s a human creation and very imperfect. Part of it has to be that the writers simply could have done a better job. But the constraints of television are enormous: actors decide to leave, the network insists on changes, fan reactions are unexpected, writers go on strike…the fact is television is not a medium that is suited for producing perfect plots. Even the collaborative nature of television writing conspires against it. When it takes six years to tell a story, you can’t blame the writers for changing their minds about some things halfway through. Even less so when many of the writers aren’t even the same as the ones who started. Lost‘s plot looks a lot like the first draft of a novel, but the medium simply doesn’t allow for revision. Lost was a very good show, but unfortunately one that many (including myself at times) were unable to entirely accept on its own terms because we were continually frustrated by its inconsistencies. The only compensation is that by engaging with the show’s mythology, and the consequent doubts, the interested viewer was in a way participating interactively in the show’s exploration of meaning. That may not be what they were hoping to get out of the show, but it’s not what we necessarily hope to get out of life either, and yet here we are.